WASHINGTON — Gold Star families, disturbed by the controversies over how President Trump relayed condolences to the families of fallen soldiers, are asking America’s politicians on both sides of the aisle to stand down. Their pleas follow statements this week from Trump and White House aides that created a storm for the president reminiscent of August 2016, when then-candidate Trump leveled criticism at the parents of a slain soldier and suffered a severe backlash. Now, again, families of military personnel killed in combat have increasingly found themselves swept up in the political fray. “This is not what we want the story to be about. 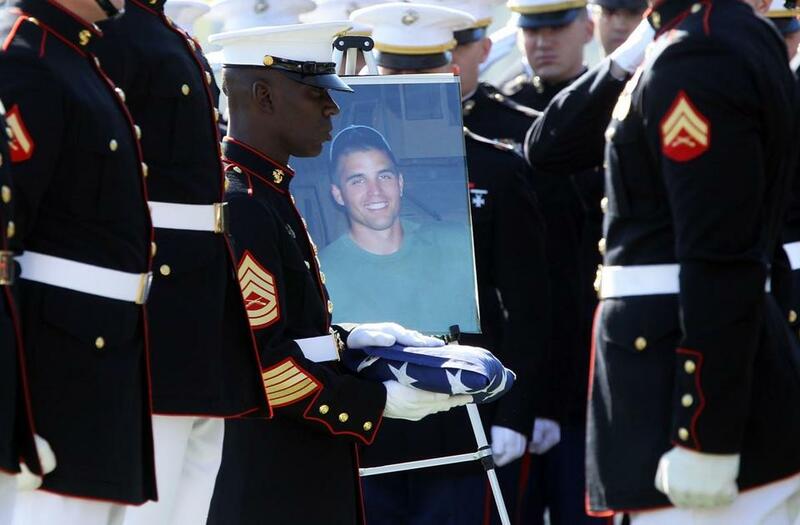 We want the story to be about our loved ones and what they represented to this country,” said Ryan Manion. Manion’s brother, First Lieutenant Travis Manion, was killed in Iraq in April 2007. “Sometimes the president says things that are out of line, and I don’t know that he recognizes that the things he says can be hurtful,” said Manion, who runs a foundation to support military families that is named for his brother. “There’s no perfect way to make that phone call,” Chief of Staff John Kelly said, adding that Trump had “bravely’’ decided to console the families. 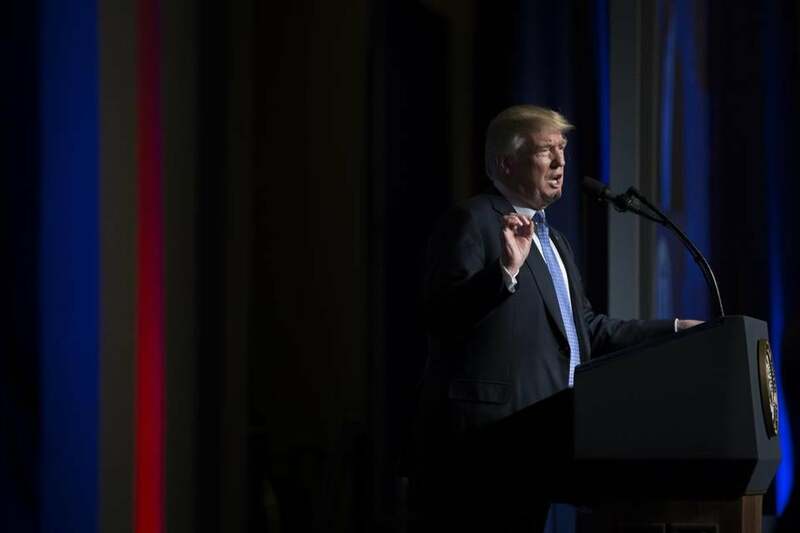 The collision of politics and personal tragedy continued from the White House podium Thursday. 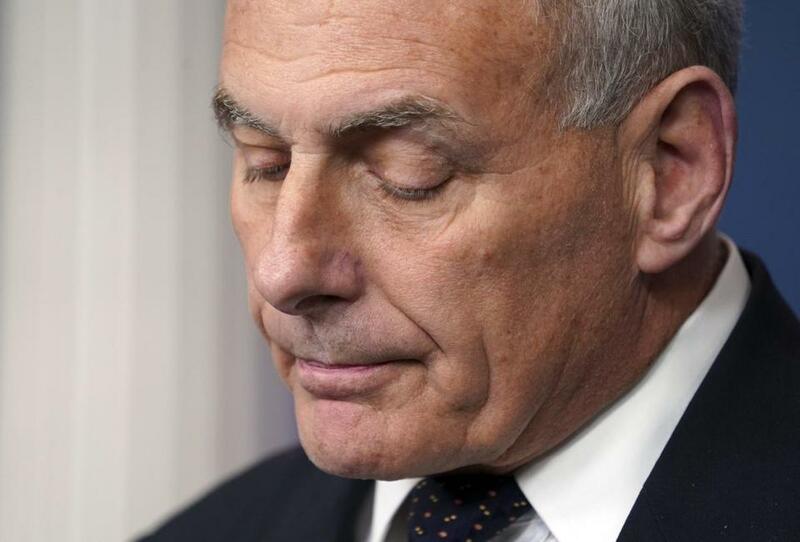 White House Chief of Staff John Kelly, a retired Marine general, read an emotional statement to reporters, detailing what happened when his son was killed in Afghanistan in 2010. Kelly, who has emerged as the White House’s go-to person in especially damaging press cycles, defended Trump’s outreach to Gold Star families. Kelly said that President Trump was trying to convey a message that Sgt. La David Johnson was where he wanted to be and doing what he wanted to do when he was killed in action. “There’s no perfect way to make that phone call,” Kelly said, adding that Trump had “bravely’’ decided to console the families. 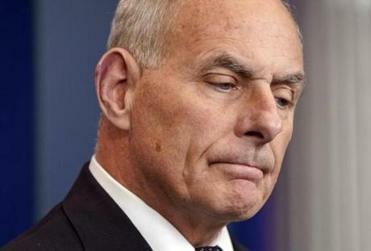 However, Kelly also lamented a changing culture, one in which the politicization of Gold Star families has become commonplace. But Kelly’s statement itself had a political impact. It was made in a bid to quell a controversy that began Monday when Trump questioned how often Barack Obama made personal phone calls to the survivors of slain military personnel while he was president. The next day, after being criticized, Trump escalated the incident by defending his anti-Obama statements with a reference to Kelly’s slain son, First Lieutenant Robert Michael Kelly. “You could ask General Kelly, did he get a call from Obama?” Trump said Tuesday morning in a radio interview with Fox News. Trump’s statements invited scrutiny of his own performance in next-of-kin notifications, igniting another conflagration almost immediately. 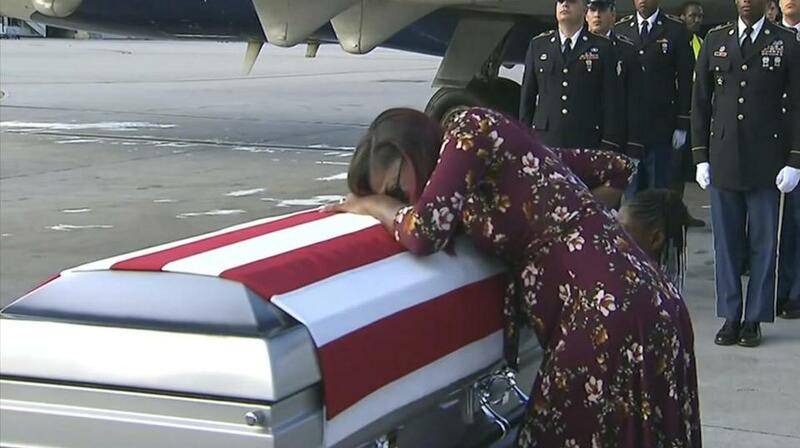 On Tuesday evening, reports emerged that Trump had told the widow of Sergeant La David Johnson, a combatant killed this month in Niger, that her husband “knew what he signed up for,” which the family felt was disrespectful. “It is appalling what the congresswoman has done, and the way that she has politicized this issue,” White House press secretary Sarah Huckabee Sanders said at Wednesday’s press briefing. Kelly also criticized Wilson for listening in on the president’s phone call — though Kelly was listening in on the president’s end. Kelly also said he did not fault Obama for not calling him after Michael Kelly was killed. Some Gold Star families, even while criticizing Trump’s clumsiness, wanted to move past the public debates. “Just as there is no right or wrong way to grieve, there is no right or wrong way to express one’s condolences; what matters is that we honor the life and the sacrifice, and provide support for all grieving families so no one has to walk such a difficult journey alone,” said a statement from Bonnie Carroll, a Gold Star wife who founded a military survivor support network after her husband, Brigadier General Tom Carroll, was killed in 1992. The outcry comes after an election cycle in which military families made political points on behalf of both parties. The mother of a soldier killed in Benghazi spoke at the Republican National Convention. Then a speech by a Gold Star family at the Democratic National Convention set off a national firestorm when Trump lashed out at the husband and wife, Khizr and Ghazala Khan. Other presidents have gone to great lengths to avoid criticizing military families — even when they are critical of the commander in chief — but Trump stood out in that moment for his propensity to strike back. In an interview with ABC News, Trump commented on Ghazala Khan’s presence on stage, insinuating that her long periods of silence were tied to restrictive gender roles in Islam. “We want the story to be about our loved ones and what they represented to this country,” said Ryan Manion. Manion’s brother, First Lieutenant Travis Manion (center), was killed in Iraq in April 2007. Manion said the spotlight on Trump’s actions overshadows the more important story — the lives of the soldiers and the cause they died to protect. Some of Trump’s harsher critics say this is more evidence he holds little respect for America’s military branches. “Mr. Trump, stop. Please, just stop. Your actions and words on this entire matter of the fallen in Niger is disgraceful, and unbecoming of a President of the United States and Commander in Chief,” said a statement from Karen Meredith, the Gold Star and Military Families coordinator for the liberal organization VoteVets. Meredith’s son, First Lieutenant Ken Ballard, was killed in Iraq in 2004. Other Gold Star families said Trump is being unfairly criticized. Arnold Wright, whose son Dustin Wright was killed in the same recent raid in Niger, told reporters Wednesday that Trump’s phone conversation with him was respectful. In a CNN interview this week, a Gold Star father named Craig Gross said Trump’s words are “basically being taken and misconstrued.” Gross’s son, Corporal Frank Robert Gross, was killed in 2011 in Afghanistan. Though Johnson’s mother and widow both characterized the president’s phone call as “disrespectful,” they have also asked for privacy. In her only public appearance, Myeshia Johnson, Sergeant Johnson’s pregnant wife, was seen hugging her slain husband’s casket in tears. On Monday, President Trump questioned how often Barack Obama made personal phone calls to the survivors of slain military personnel while he was president.